E. leptochila subsp. neglecta was first described from Thuringe, Germany by H. Kumpel in 1982 and its subspecific name means forgotten or overlooked. 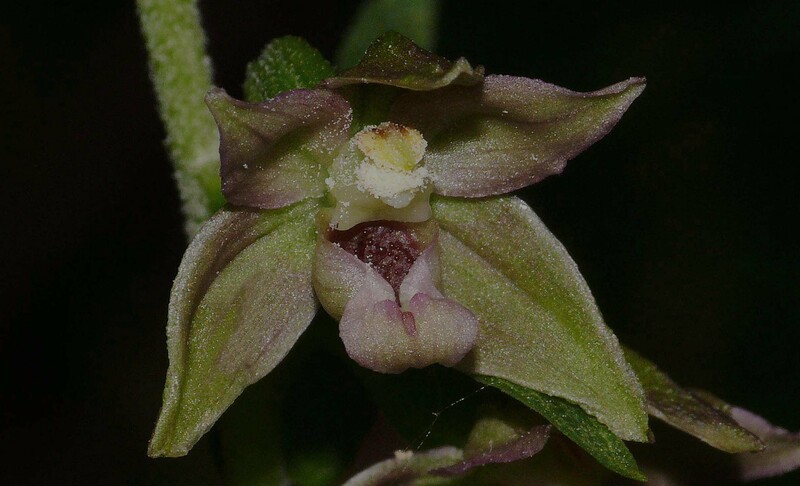 It is a member of the E. leptochila group of the genus Epipactis but the status of this taxon is not one of unanimous agreement and can vary according to author, from a variety to full species rank. 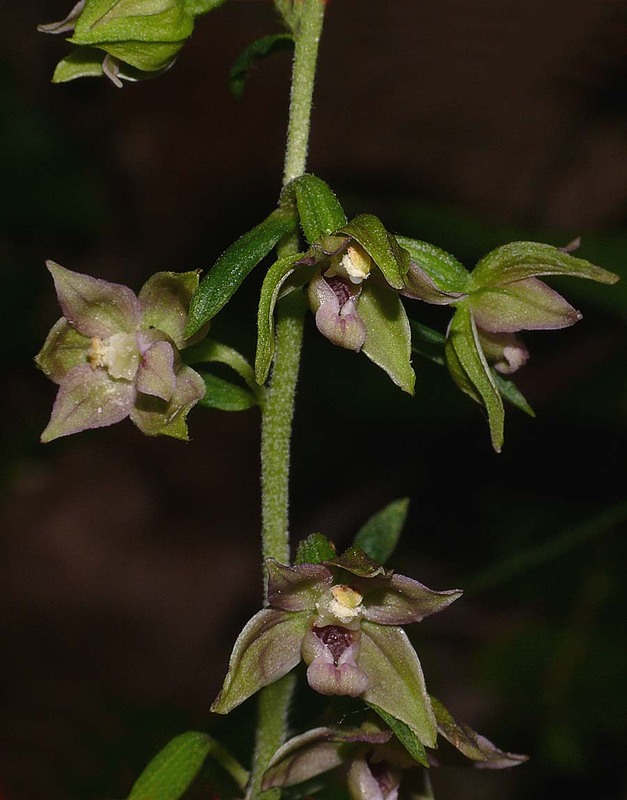 It can be found throughout the range of the nominate species which therefore includes most of temperate Europe from England through to Hungary and the former Yugoslavia. 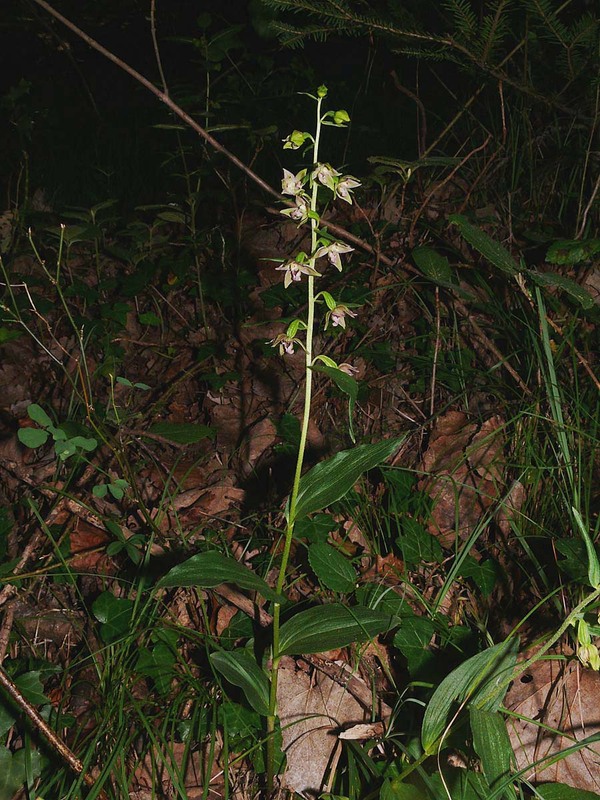 It is however a rare orchid in all parts of its distribution, perhaps being at its most frequent in the calcareous woodlands of southern England, where its preferred habitat is in the thick leaf litter of shady beech woodland. This subspecies differs from E. leptochila subsp. leptochila in several characteristics, not least of which are the leaves, which in neglecta are a significantly darker shade of green. 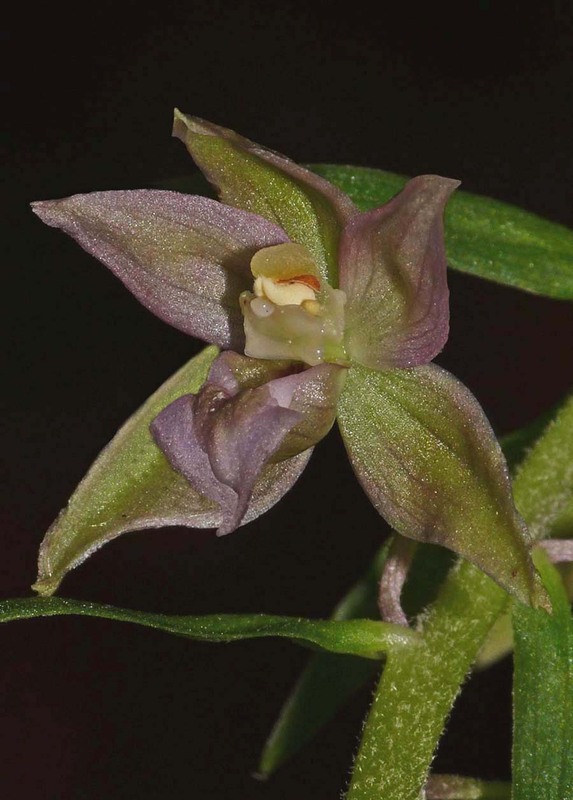 The flowers are also distinct, with the perianth often being tinged with red or brown and the heart shaped epichile both curving back and frequently twisting asymmetrically to the side, as visible in the first and fifth pictures. The walls of the hypochile come close to touching at the point where they meet the epichile, whereas in leptochila there is a significant separation. 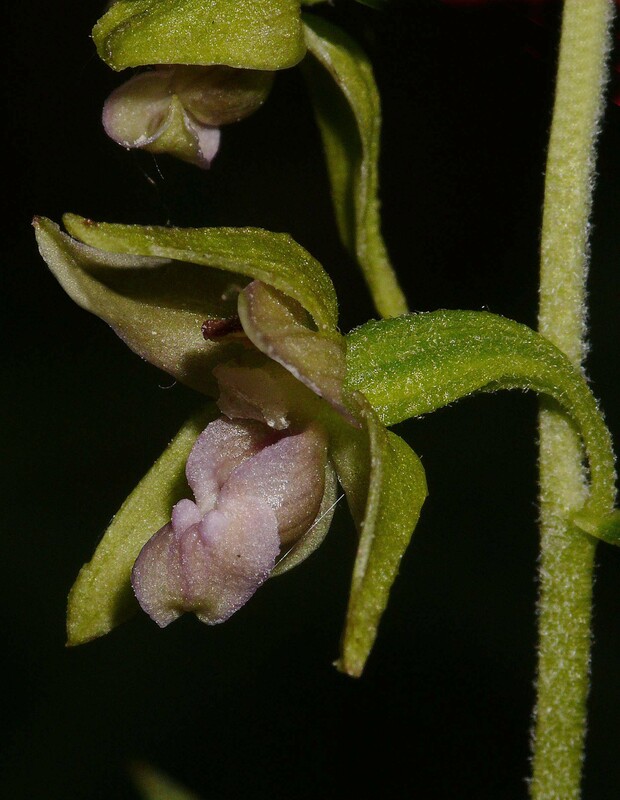 E. leptochila subsp neglecta flowers from June to August and some one to two weeks before the nominate species with which it is frequently found growing. 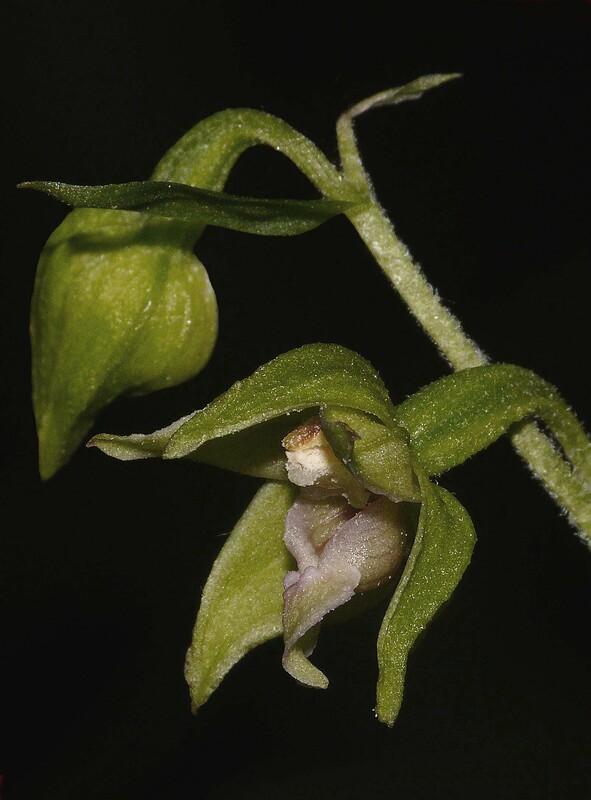 Hybridization is common and intermediates often create difficulties with accurate identification. The plants depicted here come from the south of England and south eastern France, dating from the first week of July.